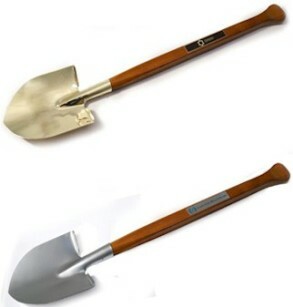 This flat-faced chrome shovel is perfect for large decals or engraving on 95 % of the digging part of the shovel blade for your groundbreaking ceremony photos. 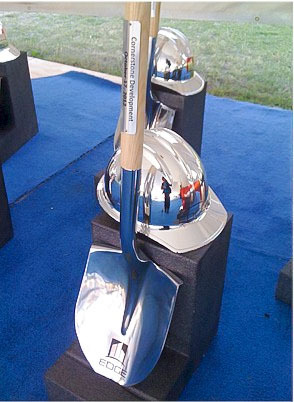 This chrome shovel is gorgeous to display during and after your groundbreaking ceremony at a fraction of the cost of most chrome shovels. 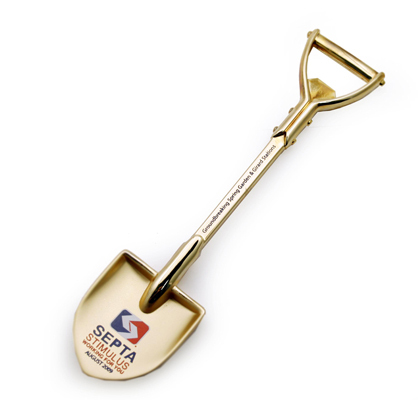 This flat-faced gold shovel is perfect for large decals or engraving on 95% of the digging part of the shovel blade for your groundbreaking ceremony photos. 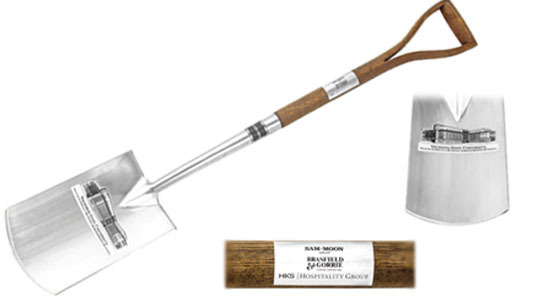 Best price guarantee. 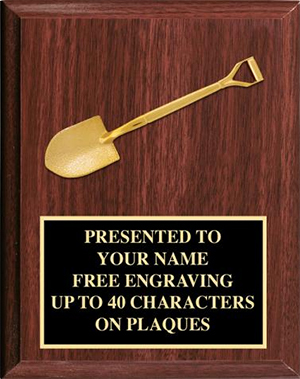 Click on image for details. 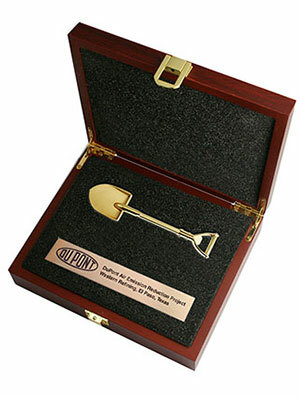 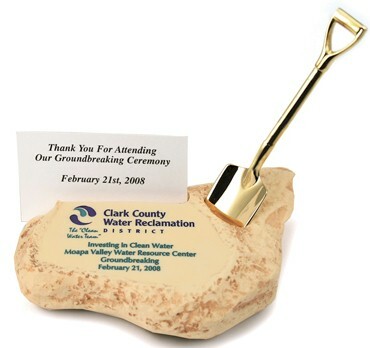 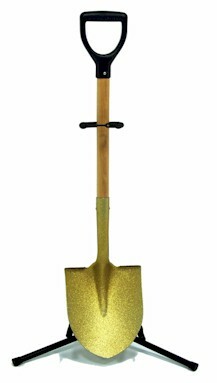 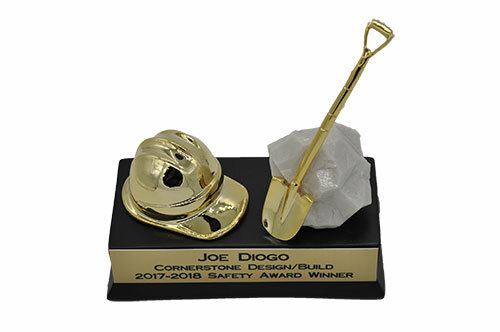 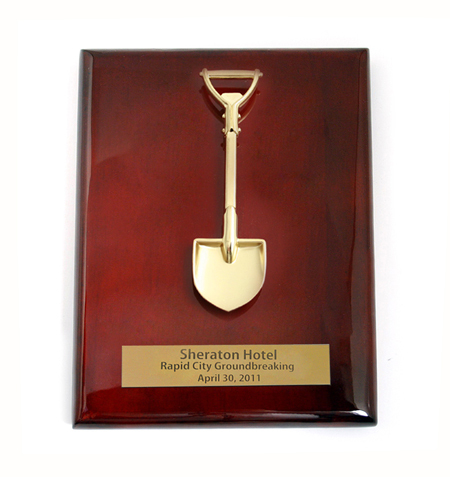 This gold shovel is gorgeous to display during and after your groundbreaking ceremony at a fraction of the cost of other gold plated shovels. 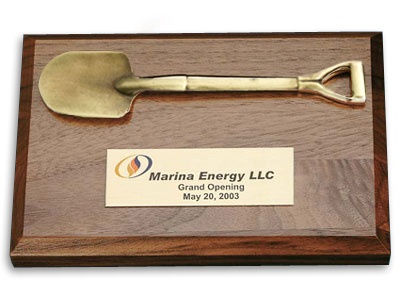 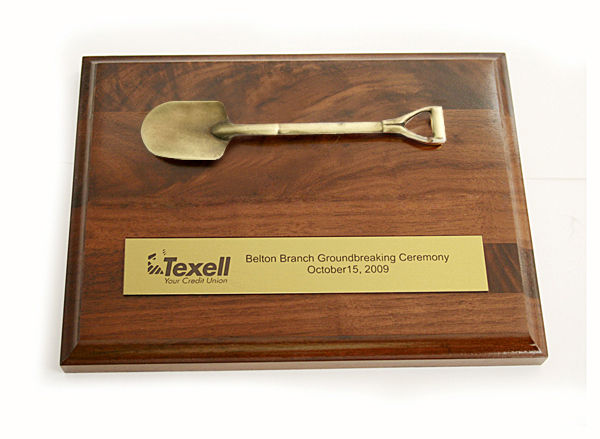 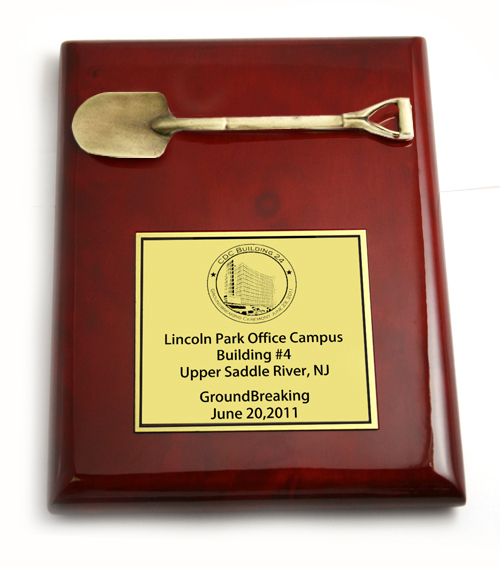 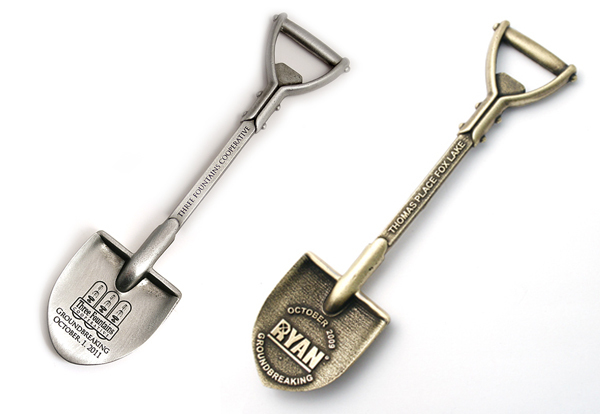 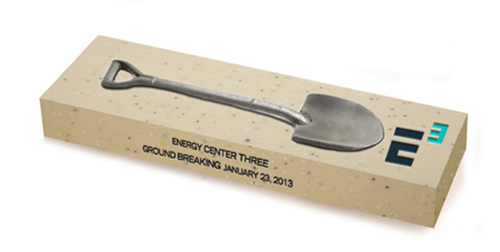 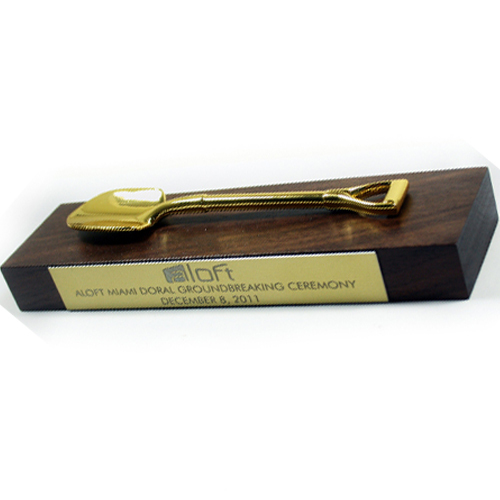 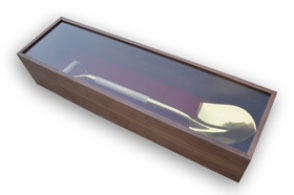 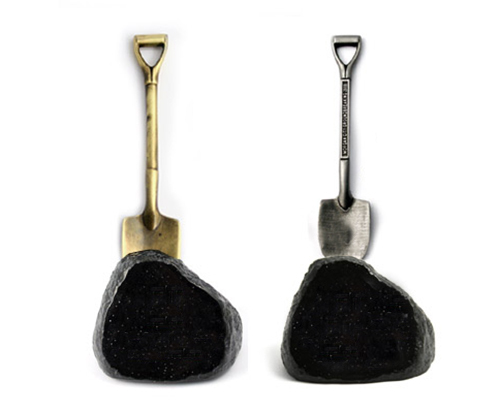 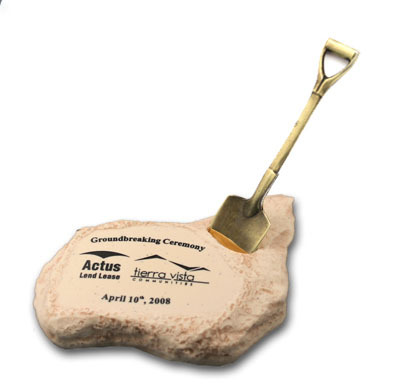 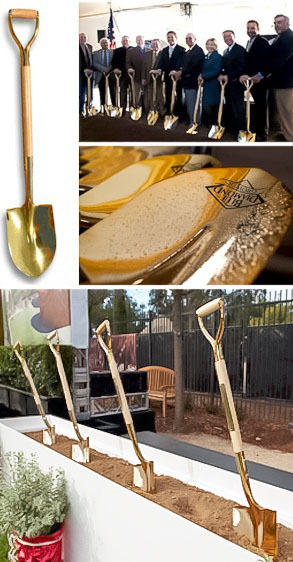 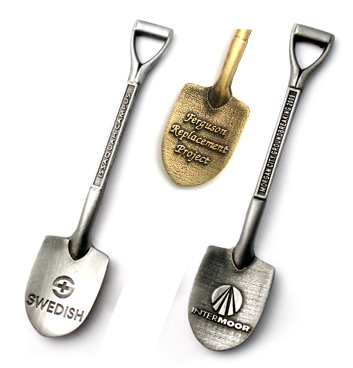 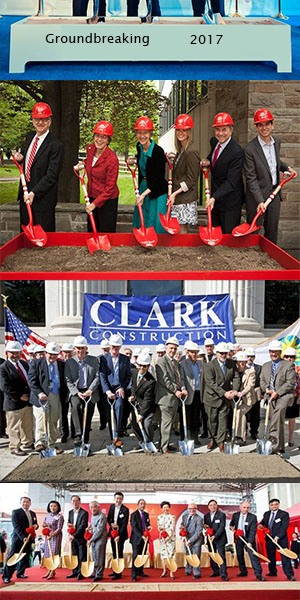 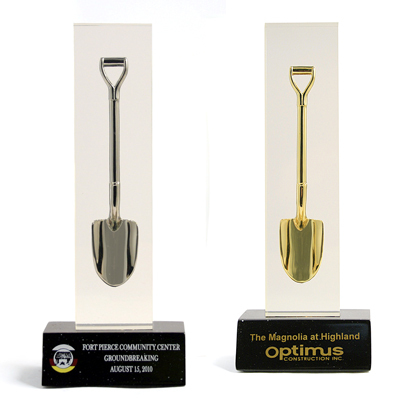 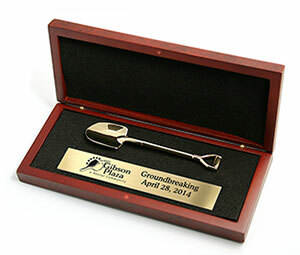 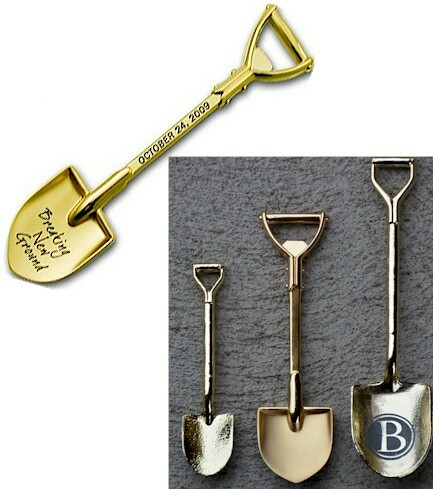 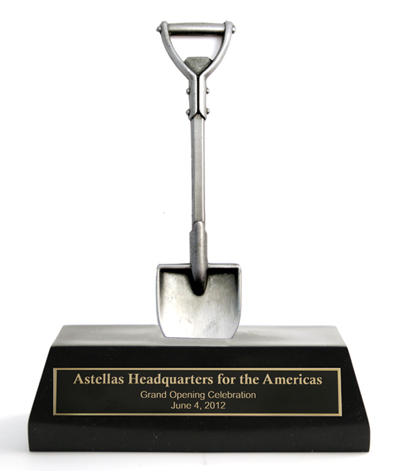 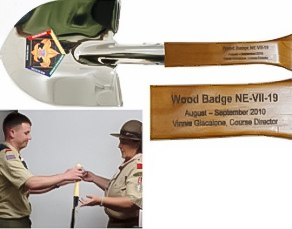 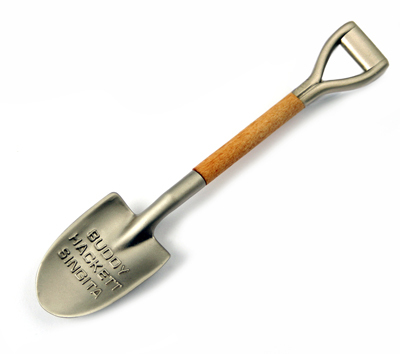 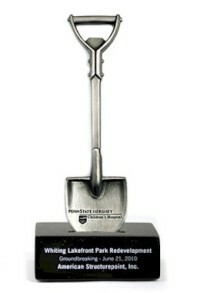 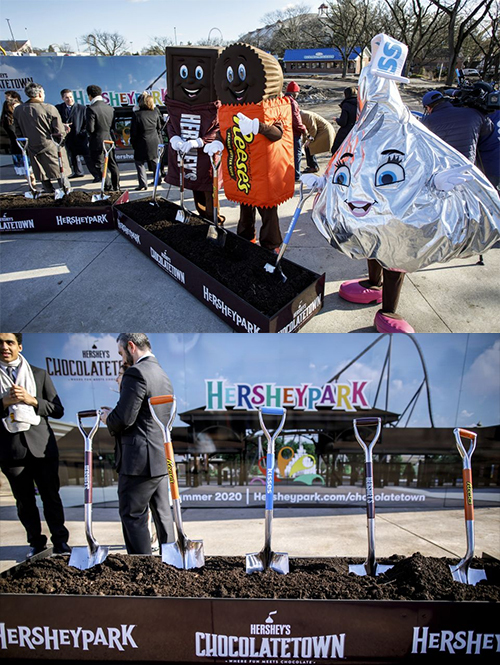 This customizable paddle shovel is a perfect piece for a groundbreaking event. 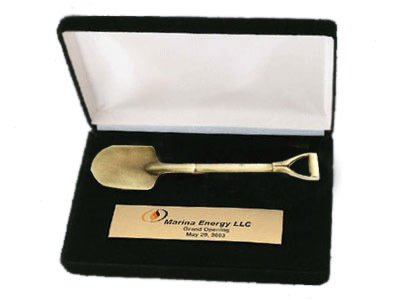 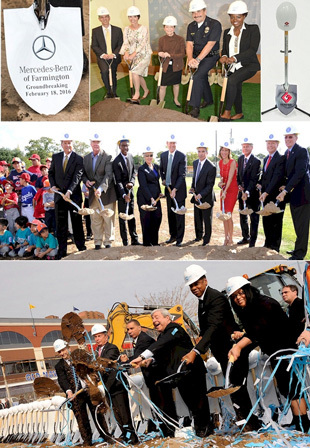 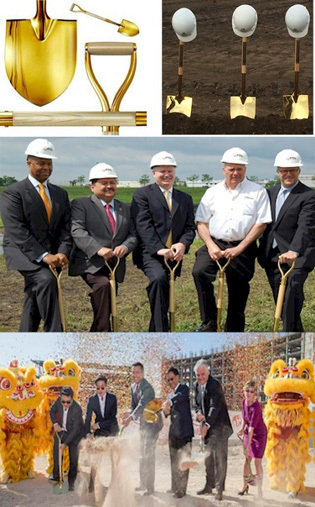 Our 41 3/8" Ceremonial Paddle Shovel can be customized to your specifications and will make your groundbreaking event unforgettable. 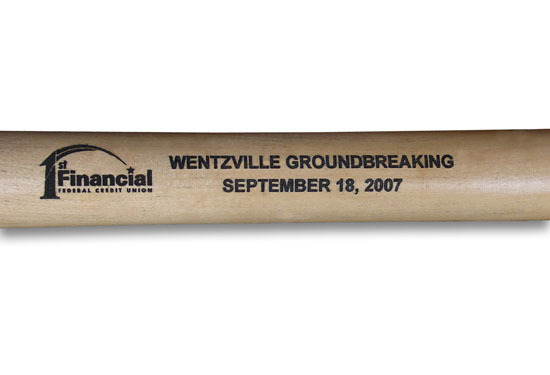 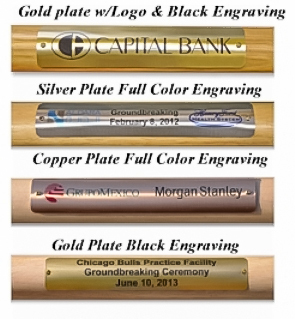 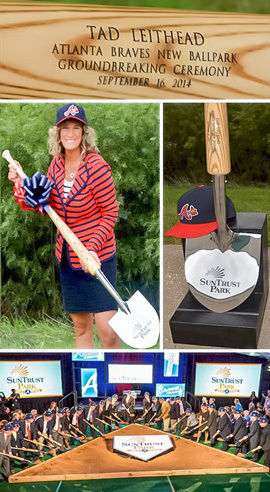 These custom baseball bat handle shovels will make a grand slam at your next baseball event or stadium groundbreaking ceremony. 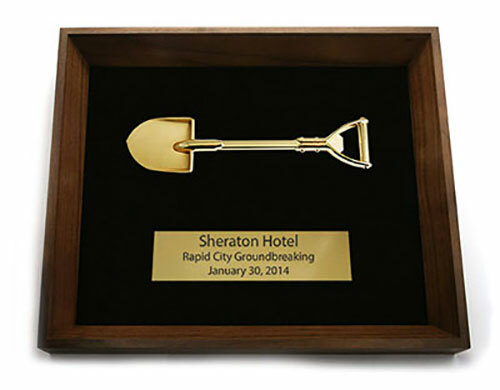 This unique shovel is perfect for your special groundbreaking event. 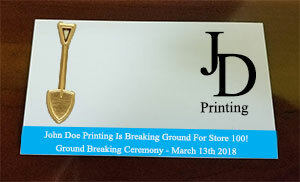 Click image for more details.